Downtown San Francisco stroll by the Bay Bridge - Angela and Michael's City Hall Wedding Gallery - Downtown Reception. The best wedding photography often just happens by chance. As a City Hall wedding photographer it is our job to create situations that increases those chances! 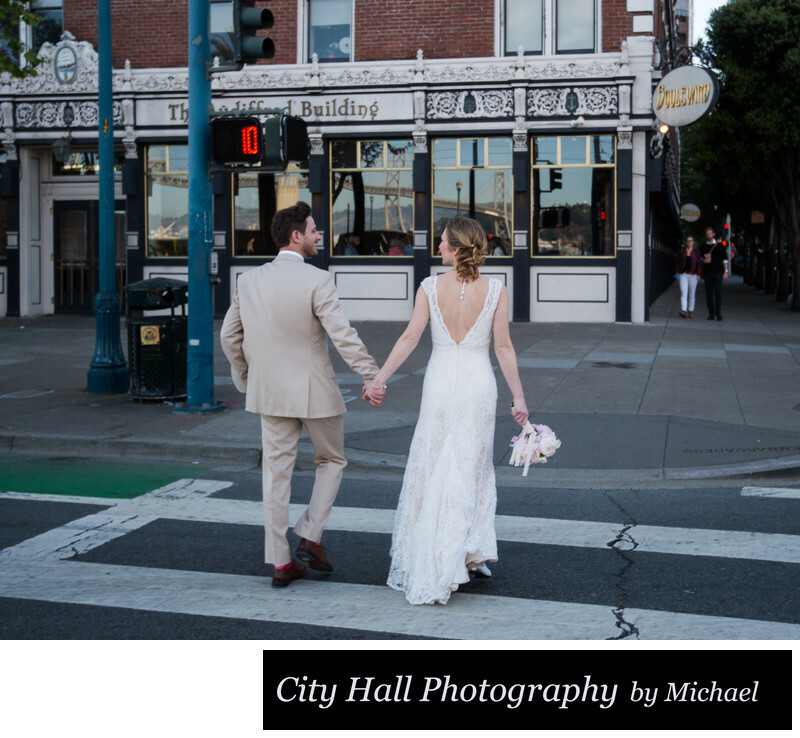 In the photo above, we asked the newlyweds to cross the street in downtown San Francisco and look at each other. The image that was created said more about their loving relationship then a posed photo would.